In late 2014, SketchDeck was approached by employee happiness company 15Five. For those who don't know, 15Five is web-based software that improves communication between managers and employees to align goals and uncover obstacles and opportunities that are often missed. Each week, employees take about 15 minutes to answer a few insightful questions on things like obstacles, achievements, morale, innovation, and trends. Then Managers take five minutes to review and respond—addressing issues recognizing accomplishments, and learning new ideas. Unlike status reports, anonymous surveys, or even 1 on 1 meetings, 15Five inspires open and honest dialogue that brings to light issues and opportunities that are often missed. 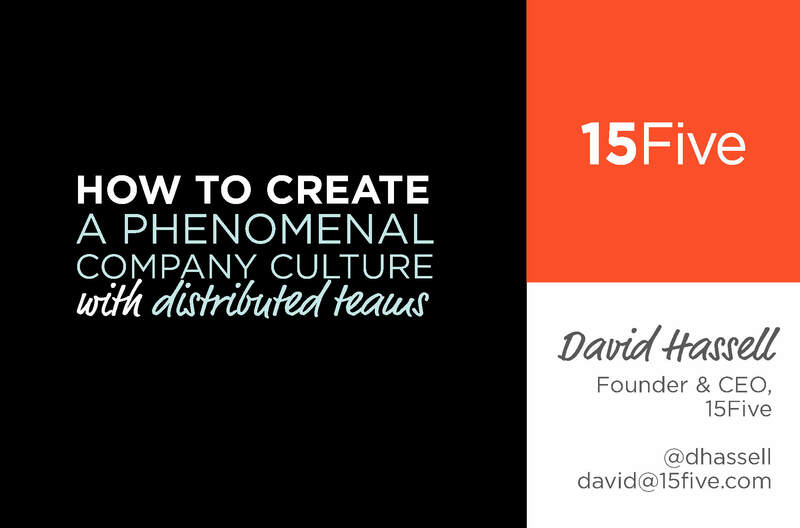 David Hassell, 15Five's CEO, had an important presentation in just a few days. Their VP of marketing reached out to us excited to try a new direction. The Catch was their deck was still being written, and they wanted to make this a completely new style from their current brand. We got really close with the the team as we dove into the project. We started off by taking already written content and creating multiple sample designs for what their deck could look like. While the 15Five team began to prepare their content for the big speech, they could easily see what their content would look like when they finished their content. Once the style sample was approved, we developed a strong versatile template, and gave a separate team the opportunity to develop their brand styleguide which made it easy to add new content and adjust it on the fly, and keep it inline with their new brand. As their first few slides were locked down, our designers started producing their slides. The immediate turn around, and occasional phone call, allowed for their latest content to be whipped up quickly, and allowed for 15Five to review them very quickly. 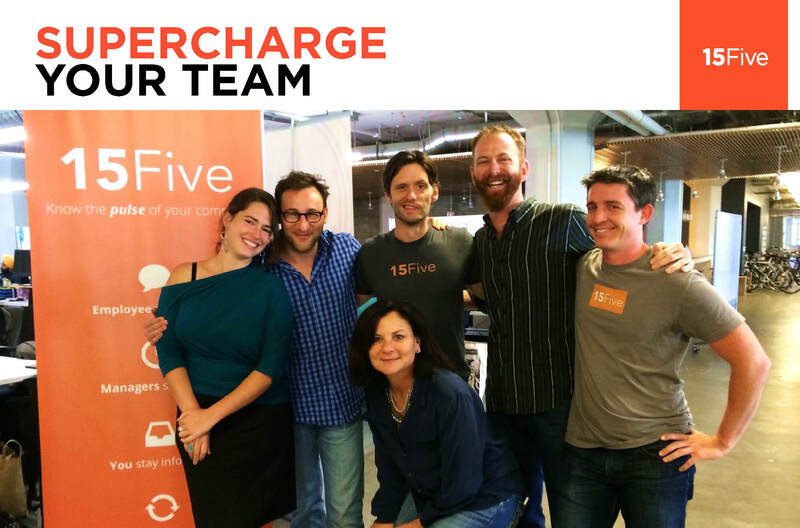 15Five worked with us on more projects, from eBooks to marketing materials. The brand guide we developed got everything looking polished and consistent. If you have ever experienced the need to throw together an awesome presentation, or needed to refine your brand and marketing materials, place an order with SketchDeck. We'd love to have you.